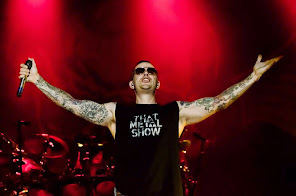 M.Shadows will appear in the new album of Pitch Black Forecast. "This record is a compilation of my favorite Pitch Black Forecast songs, which are remixed with additional tracking and far closer to my initial vision," said frontman Jason Popson (Mushroomhead, Pitch Black Forecast). More details will be revealed later.